Colour: #27 #4 mix - strawberry blonde mixed with dark brown. 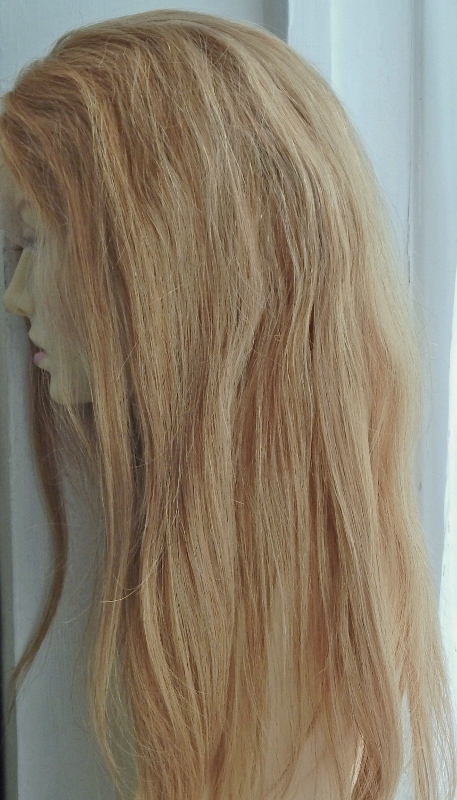 The Bella strawberry blonde mix in a straight texture is a great look for lace wigs. If you're looking for something that is darker than a platinum blonde (#613) and contains lowlights then this colour is ideal. Its super straight texture is a favourite with those who have naturally straight to curly growth hair - and thanks to popular R'n'B singers this straight texture has become increasingly wearable for those with afro hair textures. As it's made of Remy human hair, it can be heat styled, so straighteners and curling tongs at the ready or set with rollers - the choice is yours. 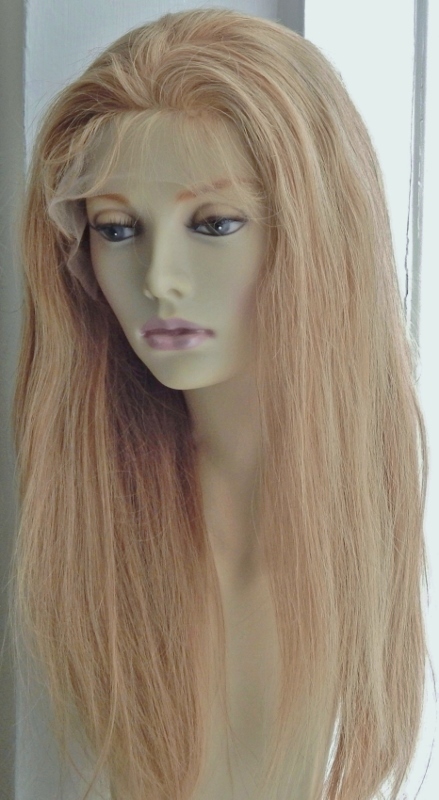 This is a long wig and so complements oval faces – you can view our wigs by face shape guide for more information. At 18 inches those with rectangular/oblong faces may wish to choose a shorter length as long hair can elongate the face; alternatively you may choose to throw that nugget of info into the wind knowing full well that with off enter partings and waves or curls you’ll be sure to balance your features. This wig is popular with those with square, heart and round shape faces as it falls way beneath the chin and balances the jawline and width of the face. The cap construction of these lace wigs means they’re adaptable. If you’ve got growth hair (full or partial) you can wear it and if you’ve lost all of your hair you can wear it – so a great choice all round. The lowlights in the blonde mean that it's a great colour if you are thinking of gradually going lighter or darker. The darker strands used to make this strawberry blonde mix can be seen in the image above.